An animated anthropomorphic family dramedy, Purrfect is a fable for the culture wars. See the Purrfect mini-book here. 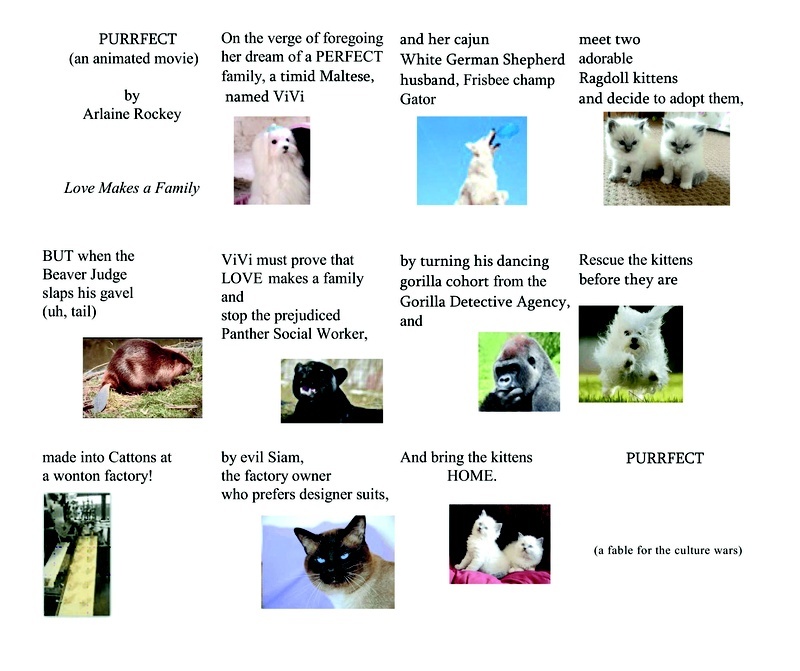 Purrfect made the Second Round (top 15%) in the 2016 Austin Film Festival Screenplay Competition.